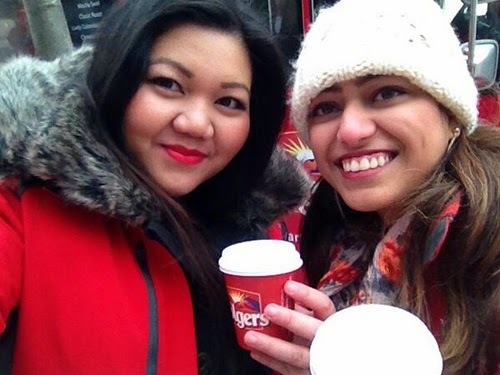 In November and bit of December, I had the opportunity to work with Folgers to promote their Morning Tour in Toronto. I had a blast hanging out with the team and my friend (+ blogger) Maria! 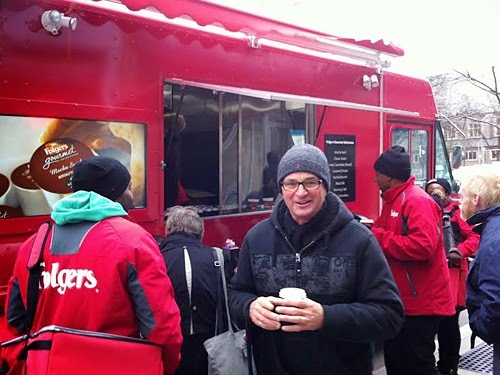 We enticed many people on the street to come to the Folgers truck to learn how to use a Keurig machine and try the new k-cup flavour in "Mocha Swirl". 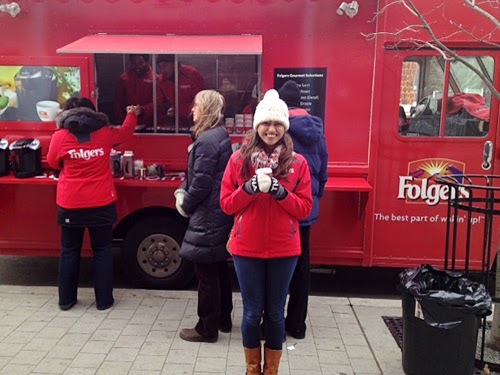 Our last stop with the Folgers Morning Tour was on an early, chilly Saturday morning at Roncesvalles, but it was totally worth it because people were so grateful to have complimentary coffee while running errands on a cold day. I'm excited to see if the Folgers Morning Tour will run in any other cities in the future. For now, I highly recommend you pick up a Keurig machine (or if you have one), try the Folgers K-Cup Packs - they come in eight delicious flavours!